Working with and talking about microservices has been my focus for a while already. And since I started working at Lightbend I already had the pleasure to work with some amazing people. One of them is Jonas Bonér and it has been a real pleasure helping with the creation of this little mini book about reactive microservices. 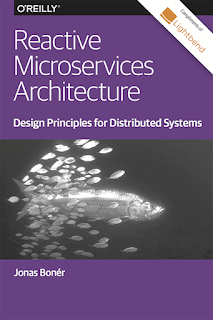 Many of the concepts described in this book are the foundation for our newly open source microservices framework Lagom. 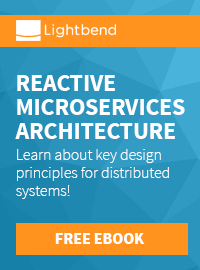 It makes getting started into the world of JVM based microservices and reactive systems and introduces all the important aspects that you should have a brief understanding about. And the best part is, that it is available for free at lightbend.com. Jonas Bonér is Founder and CTO of Lightbend, inventor of the Akka project, co-author of the Reactive Manifesto and a Java Champion. Learn more at: http://jonasboner.com.